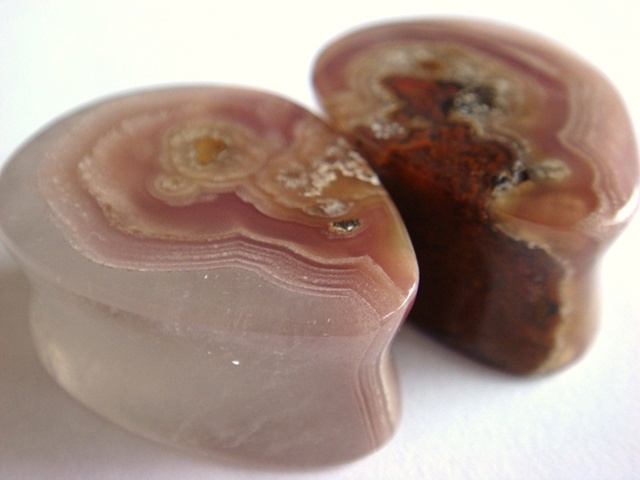 This fine set of Laguna Agate teardrops was made as an example of how beautiful and dynamic of a stone this is. In form it is much like the famed Condor Agate we've used a lot in the past. A fusion of banded, orby agate and crystaline quartz. This set has a nice soft saddle and 1/8" flares.